Enjoy as a sprout or a microgreen--you choose! 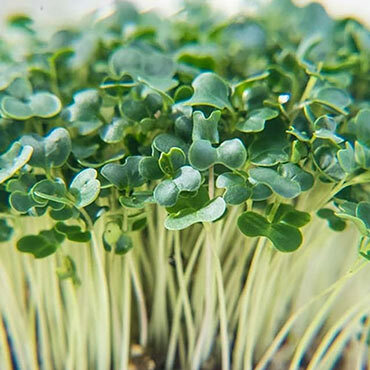 Microgreens are eaten as young seedlings prior to growing their first true leaves. These "baby plants" are more flavorful, contain higher levels of nutrients and can be grown year-round! Grow your own with our convenient Microgreen Growing kit, that contains everything you need to get started. Just choose seeds like these organic radish microgreens. Best of all, this beautiful, fast-growing radish can be grown as a sprout or a microgreen. It's a great source of protein, vitamins A, B6 and C, plus calcium, iron, magnesium and potassium. You'll love it stirred into salads or added to your favorite sandwiches. 10-12 days to maturity. Seed Count: 1 oz. of seed per packet.